Wind Turbine Trade-in Scheme – Get £100 back! Do you want a new wind turbine for the new season? Maybe your old boat wind turbine has stopped working or you’d like to take advantage of the latest power technology available in more recent models. Whatever the case, we are offering you a £100 refund when you order a new wind turbine from a wide selection available and send us your old used wind turbine. Please place your order as usual on our website – no Discount Code is required. Please note, no other wind turbine on our website is eligible for the Trade-in Scheme. If you’re in any doubt about whether a turbine is eligible, please ask us before you order. You can send us any used AIR, Rutland (Marlec), Leading Edge or Silentwind turbine, except not an AIR 303 or AIR 403. This means we'll accept any used AIR 30, AIR 40, AIR Breeze, AIR X, AIR X Marine, Rutland 503, Rutland 504, Rutland 913, Rutland 914i, Rutland 1200, Leading Edge LE-300, Leading Edge LE-450, Leading Edge LE-600 or Silentwind. It doesn’t matter how old the turbine is or if it works or not. We recommend using an insured/ tracked delivery service, such as MyHermes. Please include a note with your name and your order number (from ordering your new unit). It would be really helpful if you could also send us a short email to sales@ecopowershop.co.uk to tell us the parcel is on its way so we can keep an eye out for it. Sorry, we cannot accept any used wind turbines not listed above. If you're in doubt, please just ask us. Please only send us your old turbine after you order a new unit. This means we can link the old turbine to the correct order, which allows us to process your refund quicker. The Wind Turbine Trade-In Scheme is only available for new wind turbine orders. i.e. it is not available for a turbine purchased prior to February 2019. You can only trade one used turbine for each new turbine ordered (i.e. the maximum refund we can offer per new turbine is £100). We will send out your new turbine as soon as we receive your order. All turbines are eligible for free UK delivery and we will send your order's tracking details as soon as it’s been dispatched. Once we have received your old turbine, we will refund you £100 within 7 days. We will refund the £100 to the same payment method you used to purchase the new turbine. Please get in touch if you have any questions about our Trade-in Scheme. Not sure which new turbine to buy? 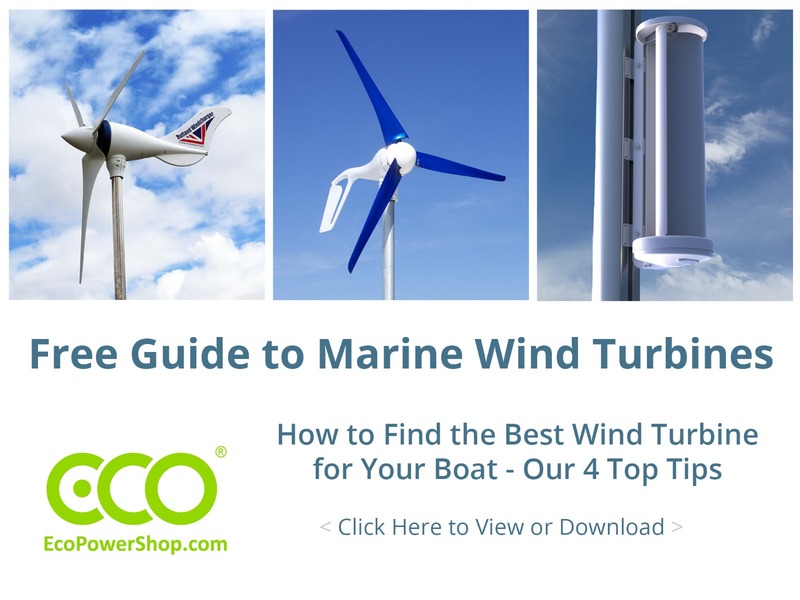 Check out our free guide to Boat Wind Turbines. If you’re still not sure or if you’ve got a technical question, then please don’t hesitate to contact us.